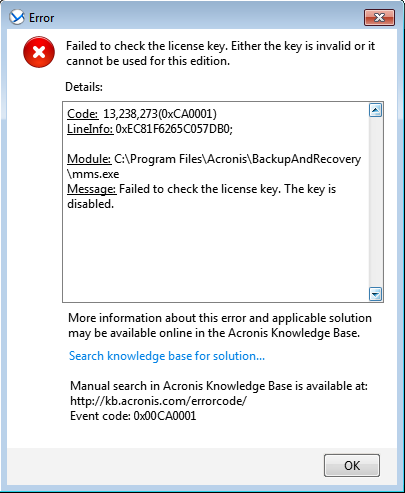 30129: Acronis Backup: "Failed to check the license key. The key is disabled"
The license key you are attempting to enter is incorrect - e.g. some characters are missing or the key is from a different edition of the product. For a solution, check Acronis Corporate Products: Serial Number Is Not Accepted.